Tonight's picks are all perfect transitional pieces to get you ready for the cooler fall temps. I purchased that adorable monkey dress when I was in New York, and I am obsessed with it. 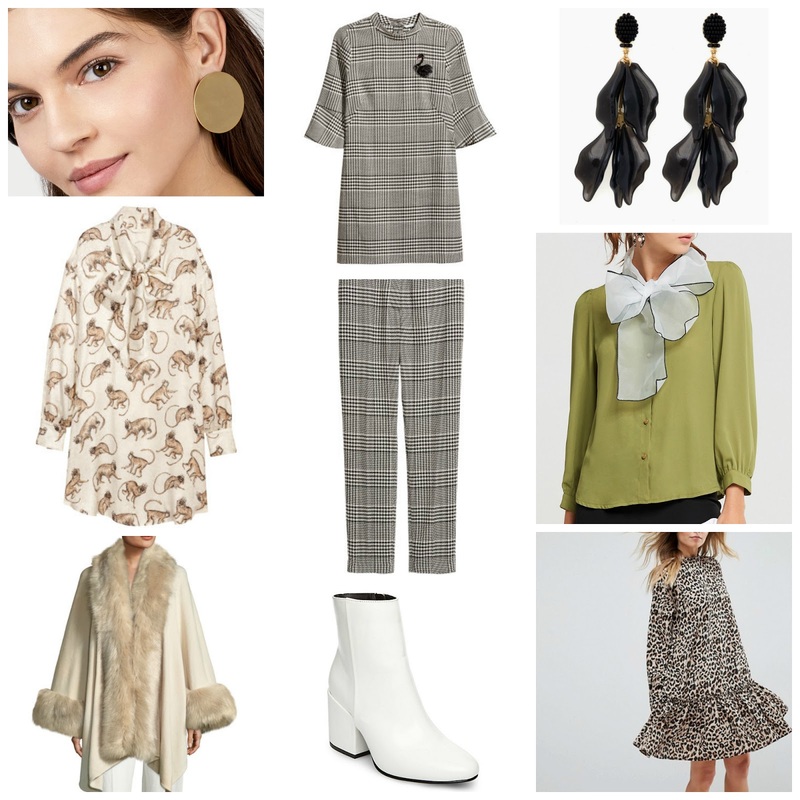 I also found a great dupe for the white Stuart Weitzman booties, and Oscar De La Renta earrings that I basically live in. Winter whites, plaids, animal prints, white shoes after Labor day, and giant bows is where it's at for me this fall! I hope you enjoy my choices, and as always, thanks so much for stopping by!